A view of the bayfront in St. Augustine, Florida. 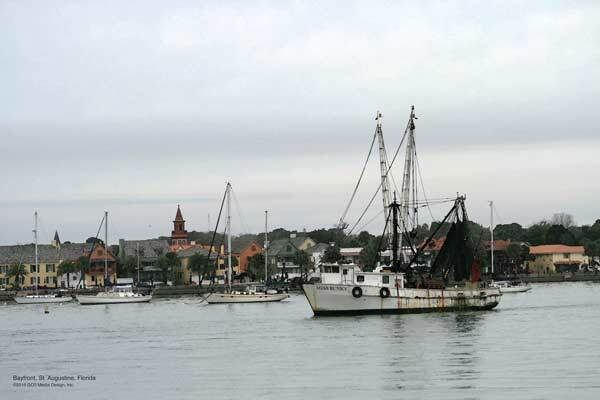 A shrimp boat passes through the bay in view of the downtown area. Prices displayed are for 20" x 30" canvas print mounted on black board with hanging wire as shown at Schooner's Seafood House. Click on each image to see full description and pricing. All images are from original photography.